Carve Your Life: Live a Great Life with Carvism is a self-empowerment book for those seeking to find their true self, find meaning in their life and lead a fruitful and successful life. The book is published by Times Group Book and was inaugurated by Actress Bhagyashree, one of the most enthralling personalities of Bollywood and Television industry. 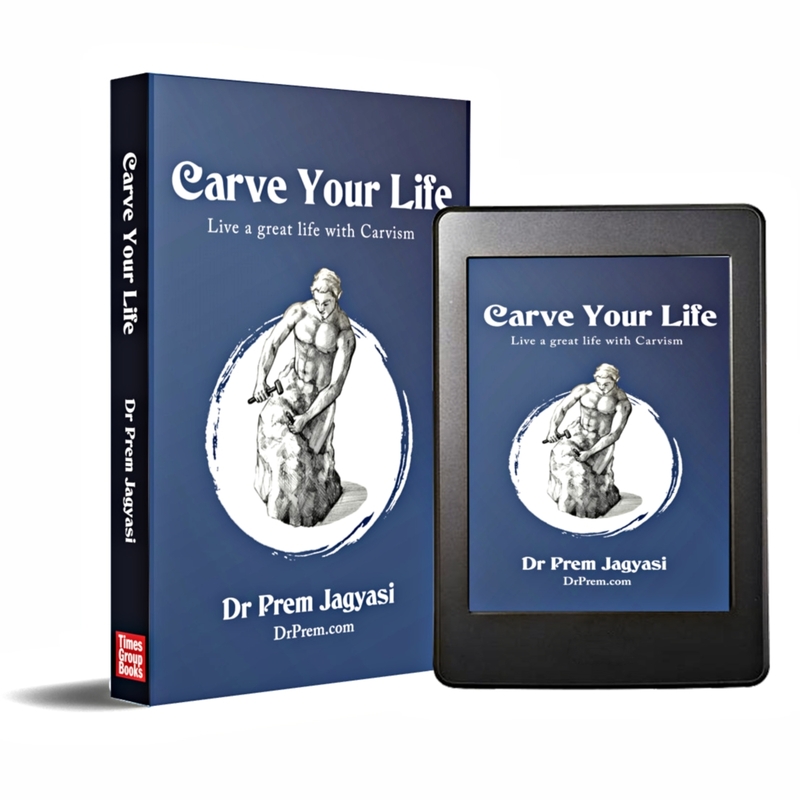 Carve Your Life narrates Dr. Prem’s signature Carvism principles, his detailed description of ‘Self-Carving Qualities’, ways to ‘Shape Your Mind’, and the process to ‘Find Your Passion’. According to the author, our lives are nowadays choked by unnecessary accumulations, because of which we are unable to ‘uncover’ the true purpose of our life; once we do this, we will enjoy a quality life to the fullest. Hence, carving out a lean life is the only way forward. 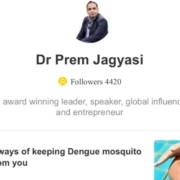 The author, Dr. Prem Jagyasi, an award-winning global leader and acclaimed life coach, has delivered keynote speeches and conducted focused workshops in several countries. 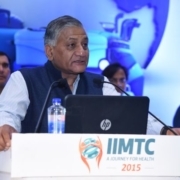 He is renowned for delivering succinct and customized Carve Your Life training programmes. In his book, he has answered readers’ queries about minimalism, productivity and tactical transformation in one’s self. 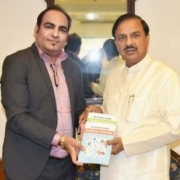 The book was launched by Actress Bhagyashree – A Bollywood personality who is known for living life on her own terms and at the same time contributing meaningfully to the society and film industry. As per the author, she is one person who has carved her life according to her values and has practiced the concept of Carvism in true essence, hence she was the ideal personality to inaugurate The Carve Your Life Book. In appreciation of the book, Bhagyashree said, “Sometimes we form very unrealistic definition of success. More than accumulation, it should be about contribution towards life. Follow your heart, but do it with conviction, courage, compassion and commitment. In Dr Prem Jagyasi’s Carvism principles, we can find great suggestions about how we can scrape out everything unnecessary from our lives and keep only those things that complete us, and ultimately help us in living a meaningful life. The rising need for practical, no-nonsense books and media with relevant life-inspiring content has grown exponentially in recent decades. Carve Your Life attempts to bridge that gap and help people identify clutter in their lives, declutter their lives and then focus on the material and non-material aspects that hold and add value in their lives. Carve Your Life offers an insight into Carvism principles, followed by self-carving qualities, which are the essential abilities you need to carve out the life you want. ‘Shape your mind’ is about using human psychology and the subconscious mind to your advantage. ‘Find your passion’ shows you the way to discover your inner calling. 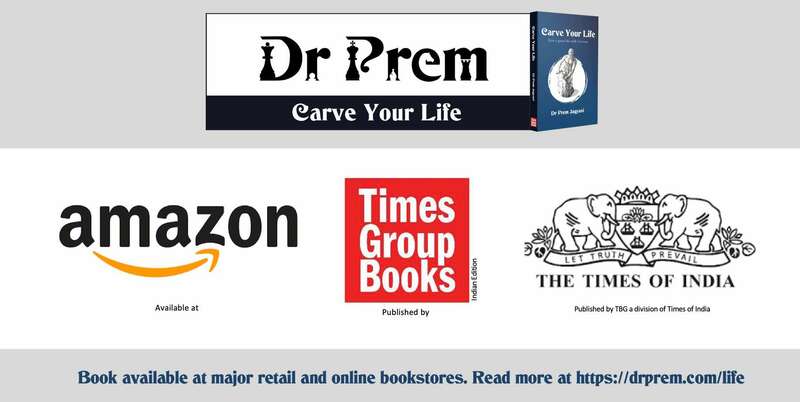 Subsequent chapters provide step-by-step instructions on inculcating the true essence of Carvism in one’s professional and personal life and explain how Dr. Prem’s indigenously developed Carve Your Life philosophy can put them on the path to discovering their true selves. The book is already available on leading online bookstores and major retail bookstores. Dr. Prem Jagyasi, an award-winning global leader and acclaimed life coach, has been to 65 countries to deliver keynote speeches and conduct focused workshops. Renowned for delivering succinct and customized Carve Your Life training programmes, Dr. Jagyasi utilizes his vast experience, cultural knowledge and signature Carvism Principles to establish lively communication with his audiences. 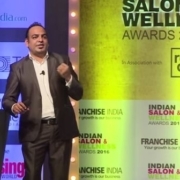 As an entrepreneur, he runs a boutique consulting and training firm and manages a thriving web magazine network with several magnificent websites on life improvement topics with the patronage of millions of loyal readers from across the globe. 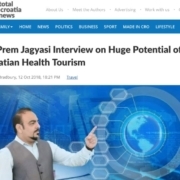 An authority in the field of Medical Tourism and Wellness Tourism, Dr. Jagyasi also takes great delight in travel photography.